Striving for a healthier lifestyle can be refreshing and easily achieved with the help of the American juice brand, Old Orchard Cranberry Juice. Did you know that Cranberries are distinguished in the nutrition world because they boast various health benefits? This gives consumers better options and alternatives on how to care for their bodies and live a healthy lifestyle. 1. Level up your hydration status. “It is human nature to seek water in variety of forms to quench thirst and cool the skin simply because the body is made up of 45 to 75 percent of water”, asserts Que. However, this simple tip is harder than you think since it takes discipline and conscious effort on a daily basis. “Water helps flush out bacteria that saves your bladder from infections, so keep yourself hydrated throughout the day by consciously drinking water whether or not you are thirsty. We can also add various types of beverages aside from water, but practice moderation on drinking liquids that contain sugar, fat, and alcohol,” adds Que. 2. Prioritize your “pee” time. We’ve heard it many times before and let us say this again: Don’t put off your pee the moment you feel it as to prevent bacteria from colonizing in your bladder. Que prescribes: “Urinating helps regulate blood pressure and removes the body’s waste product called urea–so fully emptying your bladder with adequate fluid intake can ward off not just UTI but kidney stone formation”. 3. Practice good hygiene. Unfortunately, women are more prone to UTI than men so ladies should learn this technique on how to properly keep their nether region clean: Wipe your intimate area from front to back all the time and opt for a cotton underwear since it’s more breathable than any material. 4. Give your immune system a boost. Different external factors such as stress happens and can take a toll on our mind and body, which compromises our immunity. That’s why Que’s advice is to load up on nutrient-rich foods such as citrus fruits, green leafy vegetables, and berries coupled with at least 7 hours of sleep and exercise that help strengthen your defense against bacterial infection. Old Orchard Cranberry Juices are grown, harvested, and packed in a modern facility in Michigan, USA, where the great-tasting and perfect blends of juices are whipped up daily. You can be sure that every drop is healthy and stable before even reaching your glasses. 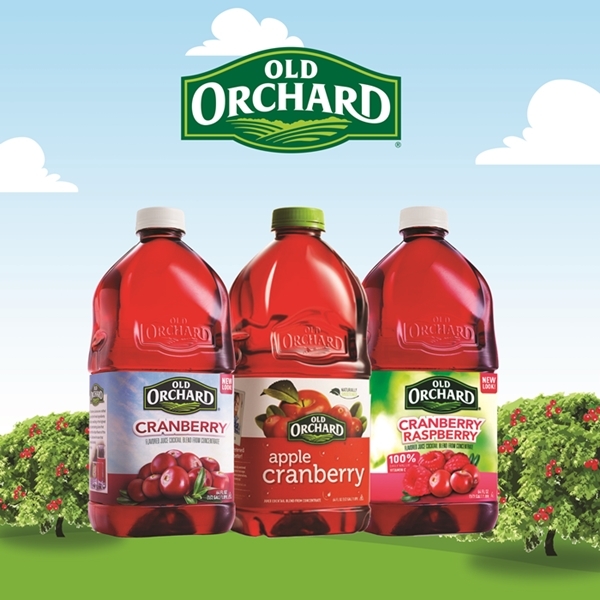 Old Orchard Cranberry Juice is available in 3 delicious variants: Cranberry, Apple Cranberry and Cranberry Raspberry. There are also diabetic-friendly variants that contain 75% less sugar and only 20 calories: Healthy Balance Cranberry and Healthy Apple Balance. Coupled with a healthy lifestyle and a balanced diet, there is no shortage of fun and flavorful ways of protecting and loving your bladder while nourishing your whole family.